When it comes to kids, what are the best museums in LA to captivate their interests? Attention spans are shorter, honesty more blunt, and a bunch of boring Rembrandts just won’t do. How do you catch their imagination and expose them to new worlds at the same time? Our Los Angeles museum guide for kids is the perfect place to start! 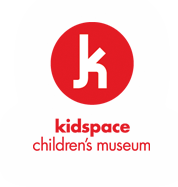 The Kidspace Children’s Museum, located at 480 North Arroyo Boulevard, has a mission to nurture children’s imagination through kid centric experiences. It’s definitely one of the best museums in Los Angeles when it comes to pleasing both kids and their parents. They have over 3.5 acres of interactive environments designed to capture young imaginations and curiosities. The Robert and Mary Galvin Physics Forest is sure to be a hit. This is one of the coolest museums in Los Angeles when it comes to inspiring young minds with the world around them. This non-profit strives to teach STEM proficiency as well as an appreciation for environmental stewardship. Your child will explore a simulated helicopter ride, have a scavenger hunt, and experience the thrill of California’s natural resources. The largest art museum in the Western United States, this museum features over 120,000 exhibits that span the entire history of art. Children of all ages are welcome. Art encourages creative thinking and the best from the ages. This amazing museum, located at 6505 Wilshire Blvd., helps instill a sense of global justice and leadership through cooperative play exercises and real world activism. Their goal is to cultivate brave and generous thinkers to transform the world and create a better future. We’re going to give you the low down on the best LA museums that can stretch from the hills of the annoying 405 freeway the locals love to hate, to the relaxing streets of the Miracle Mile Museums, and lastly to the classic downtown LA museum scene. One of the top rated LA museums is the Getty Center which is located about a mile or two away from the UCLA campus in Westwood. Technically, Westwood is its own city existing West of LA, but the locals in Los Angeles love to reference anything within the county of Los Angeles as Los Angeles. Makes sense, right? Well, it does to us. Moving along to our main topic at hand, the Getty Center is famous for its instagrammable views of the Pacific Ocean to its carefully curated architecture which took years to built. Our favorite part of the Getty is the entrance, which consists of parking your car in a large lot for $15, taking a cute tram up to the mountain and enjoying a free (everyday) admission visit.The Skirball Center is located just a few miles north of the Getty in West LA if you’d like to knock off two museum visits in LA in a day. The Miracle Mile on Wilshire attracts hundreds of thousands of visitors a year, including the locals, to its thriving “Museum Row” in Los Angeles. Museums in this area include the famous Petersen Automotive Museum, LACMA, The La Brea Tar Pits and the Craft and Folk Art Museum. Just a few miles southeast lies the beast the locals refer to as DTLA. Los Angeles traffic is notorious and although the downtown area is only a few miles away, it may take an hour or two to navigate through in a vehicle. 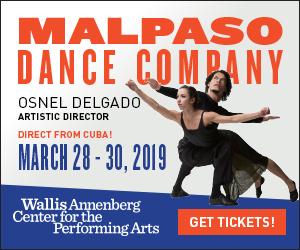 But once you get there, we suggest you visit the MOCA, the Broad Museum, the Japanese American Museum and the Grammy Museum… just to name a few! Soak in the many events of Southern California! Travel Checklist: Have You Got Your LA Map? We believe in travelling light, but we can never imagine leaving the hotel without a decent map of Los Angeles. Even locals can get lost in the sprawl. True, with today’s technology, your phone will suffice, but you still want to use the best maps available. Our maps of the city are annotated to tell you where to find the best restaurants, shops, museums and other attractions. You can download it to your phone for easy reference. You also will want to pack a bottle of water, a jacket (sure, it’s 90 now, but that ocean wind at dusk will cut right through you), and a decent amount of cash for those cash only taco stands.